It's an unassuming sight just outside of Portland, Oregon. Two slight runners, one blonde, one brunette, running stride-for-stride on an asphalt trail not far from Nike headquarters. 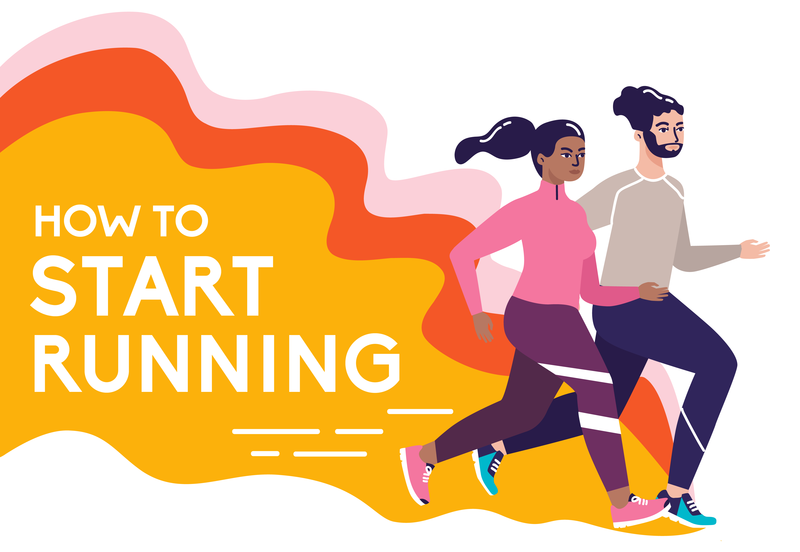 There is little to pay attention to until you notice their pace as they pass other athletes on the trail—no one else can keep up. These are not your average runners. 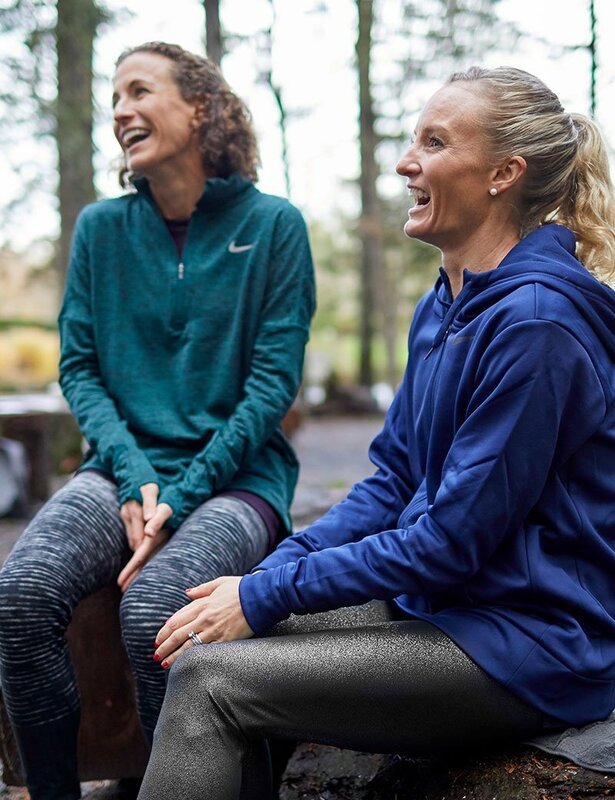 The woman in the blue with a blonde braided ponytail is Shalane Flanagan, four-time Olympian. As of November 2017, she is also the first American woman to win the New York City Marathon in 40 years. 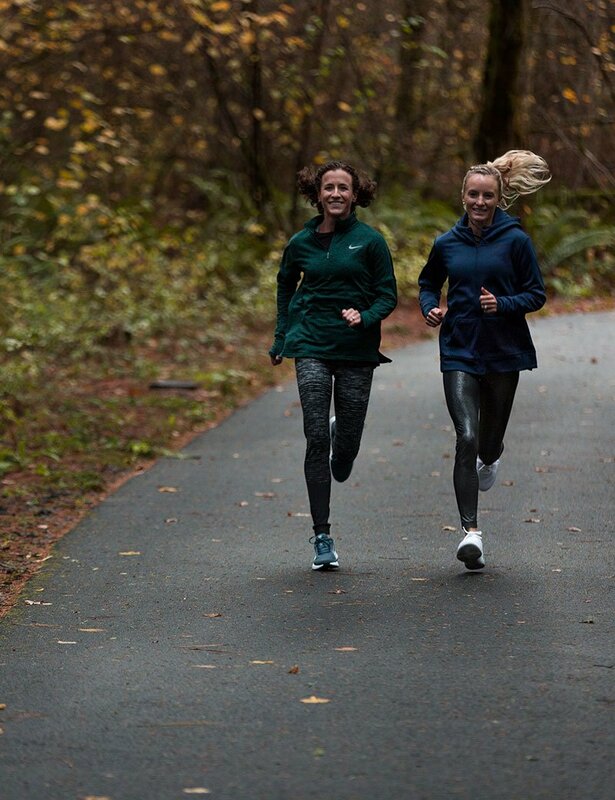 In the green, with brown curls bouncing behind her, and matching Flanagan's pace stride for stride, is her training partner, Amy Cragg, a two-time Olympian. With her bronze in the marathon at the 2017 World Championships, Cragg became the first American woman to medal in that race since 1983. The pair are out for their regularly scheduled run and the Monday afternoon sun peeks through pine trees as they dash down the trail. As their careers gain momentum, photoshoots and interviews fill their schedules, but they always find time to work out together. Cragg and Flanagan have been training partners since 2015. Their alliance is proof that at times it takes more than preparation and determination to make it to the finish line. Cragg and Flanagan's joint performance in the marathon at the 2016 Olympic Trials in Los Angeles is confirmation that their union helps them overcome even the most daunting of obstacles. “There's a misconception that to be competitive in sports you have be competitive all the time, especially in running because it's seen as an individual sport," Cragg says. “The reality is you'll raise each other up if you're more encouraging instead of competing in practice." Their approach seems to be working. As the teammates move forward and face whatever 2018 may bring, they believe that their unified training efforts will continue to propel them to the top of the podium. Even when they're in different locales, rarely a day goes by that they don't talk, or text. “When I trained for Worlds I had a really bad workout," Cragg says. “Just completely bombed it. I texted her right away." In that workout Cragg's tempo work was off pace and she produced sub-par split times. Towards the end of the exercise she was out of gas. Flanagan, who was in Atlanta for an appearance at the Atlanta Journal-Constitution Peachtree Road Race, refused to let her teammate get rattled by one bad run. So she helped her evaluate what went wrong. They talked about nutrition and hydration, and analyzed the anxiety that prevented Cragg from regrouping and recovering. Flanagan also encouraged her to look over her training logs and remember the many other workouts she'd done well. Cragg believes moments like those made a difference in her ability to perform so well a month later in London for the World Championships. For both women 2017 has turned out to be a watershed year for their careers. Their successes have also brought some new acclaim to their sport, which makes them happy. They understand that most of what they do—the two-a-day runs, weight room workouts, and speed drills—happens in the shadows, away from the spotlight. “What we do is a very weird profession," Cragg says. 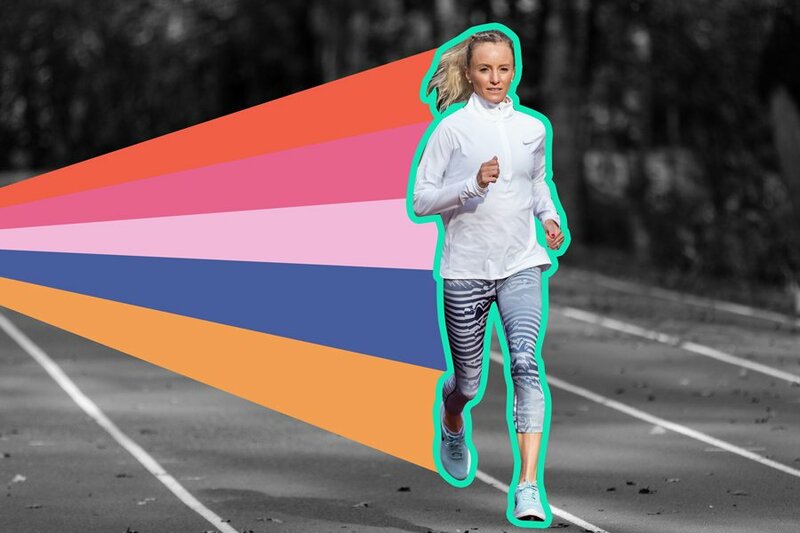 “Even amongst distance runners it's just different training for the marathon so it's really hard to explain it to people around you." On any given day Cragg and Flanagan understand what one another is going through, better even than their spouses do, although the men, now retired, were elite runners too. Right now they're doing their second run of the day, a little tired, but still grateful for the chance to train together after being separated while Flanagan made the media rounds following her New York City Marathon win. When they aren't working out, they often watch movies together or spend time bonding over cheesecake from Justa Pasta, their favorite Italian place in Portland. The two have become each other's reason to look forward to the long runs. Still, despite their deepening camaraderie, the 2016 Olympic Trials would test their friendship. The day was warmer than average in downtown Los Angeles, when the women arrived at the start line. Cragg and Flanagan needed to clench two of the top three spots for a guaranteed trip to the Olympics and the margin of error was miniscule. With 6 miles remaining Flanagan, the defending Olympic Trials champion, started to fade. Plagued by dehydration and heat exhaustion she begged Cragg to go on without her, knowing she could clinch first place if she dropped her struggling teammate. “Every single day we talked about the trials, about qualifying together," Cragg said to her then. “It was never one or the other, it was always together." Cragg decided to stay by her side. They had 3 miles to go when Flanagan got the chills. Fluids no longer tasted good to her and her teammate had to take the top off of her bedazzled water bottle in order for her to take a drink. “You're stronger than everybody else here," Cragg told Flanagan, knowing she needed to hear the words they say to one another before every race. As they entered the final mile, Cragg knew her teammate would make it to the finish so she sprinted ahead, seizing the top spot. A little over one minute later, Flanagan crossed the finish line third and collapsed into the arms of her comrade. Cragg and Flanagan were both going to the Olympics. 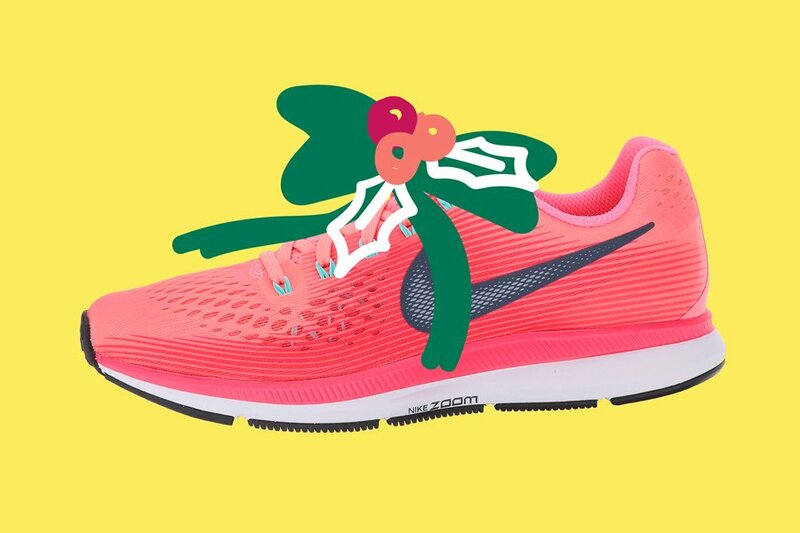 “I think no matter how many times you run a marathon, you always have to appreciate the fact that on any given day, it could be extremely challenging," Flanagan says. Cragg says now that there was never a moment where she doubted sticking by her partner. She knew Flanagan would have done something similar for her, because they were looking at the bigger picture. If they both qualified for the Olympics, their performances in Rio would be better because they could continue to train together, pushing and encouraging one another. In Brazil, Flanagan placed sixth in the marathon and Cragg ninth. Their third American teammate, Desiree Linden, came in seventh. It was the first time in Olympic history that all three American women placed in the top 10. After an incredible year on the racing circuit, their collaboration doesn't show any signs of slowing down—nor do they. Flanagan plans to run the 2018 Boston Marathon. Cragg is filling her race schedule with competitions that will give her the best chance to represent Team USA at the 2020 Olympics in Tokyo. Although they may not run these races side by side, they'll surely get to the finish line together.